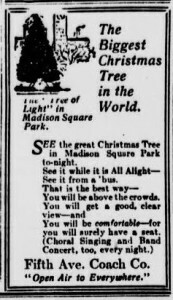 I’m not sure if the Madison Square annual Christmas tree was really the biggest in the entire world — as the 1913 Evening World at right suggests — but it was most certainly the largest in New York City. Its closest competitor in size would have been the City Hall Christmas tree. This unique tradition in Madison Square began just the year before, in 1912, and is often considered to be the first community Christmas tree in America. 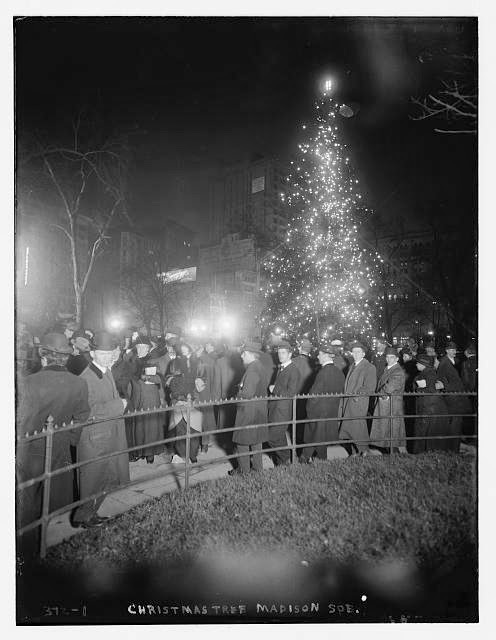 I’ve seen a few photographs of the Madison Square Christmas ceremony from this period, but rarely any at night. 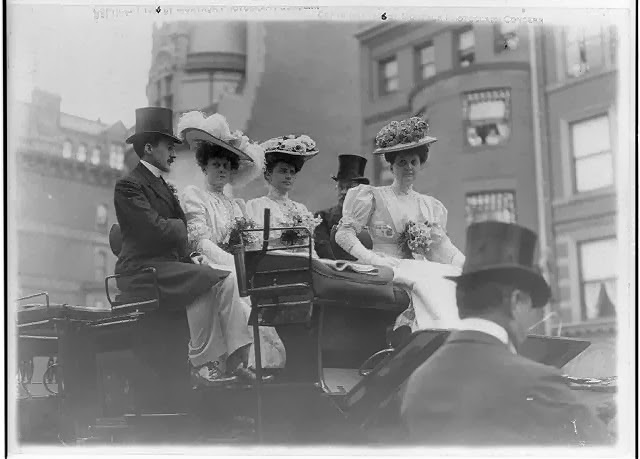 I’m not sure whether the pictures at top and at bottom are from 1913, but they’re definitely from the early 1910s. We’re so used to novelty lighting features now that it’s difficult to imagine the extraordinary effect of a single tree draped in electric illumination. 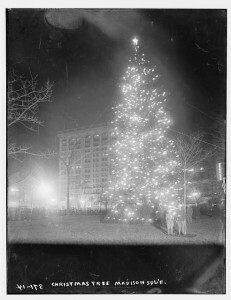 “See the great Christmas Tree in Madison Square Park to-night. You will be above the crowds.